Last night the old year went out and in came the new. Generally a time for reflection and tidying of the house. I think it isn't fair on the old year to let it go in an untidy house nor to salute the new year with a mess. Yesterday I spend a good few hours getting the house in order; did all the admin that wasn't done over the past month, cleaned and re-organised my alarmingly growing fabric stack. The latter took a little while but the former was done quickly (the advantage of living in a small cottage is that one doesn't have much space to be messy). It has been a good 2010 and looking back I am astonished how much I achieved in terms of sewing. I also took some new photographs (can be seen on my other website here )that I am very please with and resolve to be a bit more active again on this front. My continuously ongoing efforts to learn Italian have suffered somewhat as quilting has stolen a lot of studying time. I don't think that will shift for a while but I keep going and hopefully I will progress albeit a bit slow. 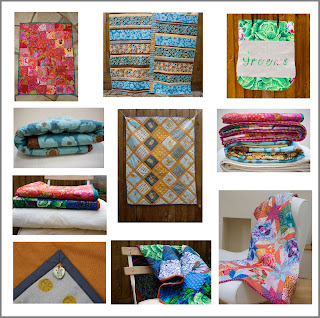 In 2011 I obviously want to make many more quilts and will set up my online store in the next months or so. Many babies have been born and are going to be born around my family and friends which is a good opportunity to make baby quilts. 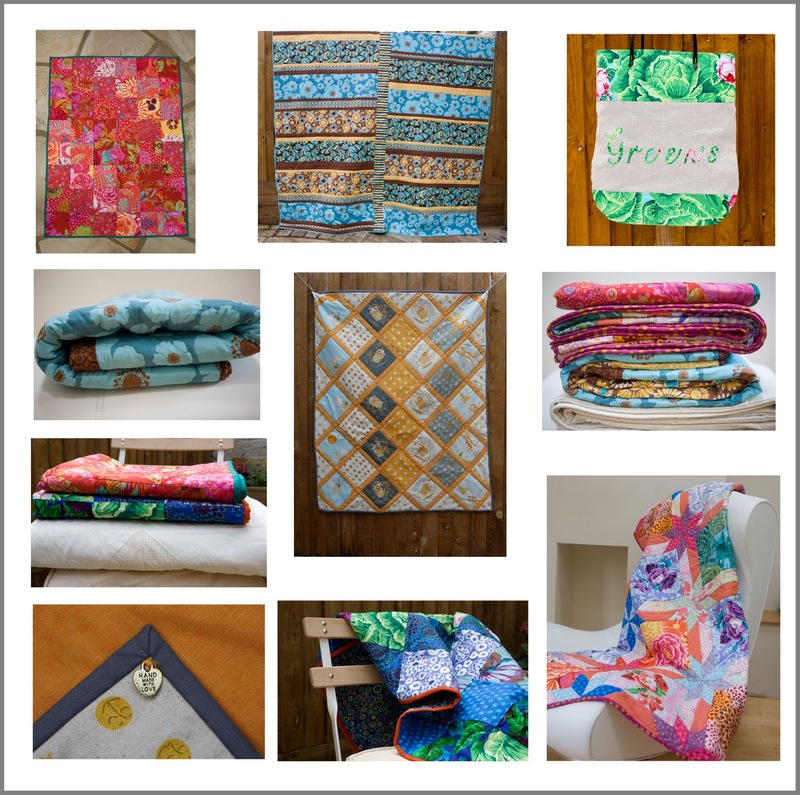 Hopefully I will stay away from large quilts but I must admit I am already planning a few again. Well..........let's see how it goes. Last but not least I want to thank everybody who took the pains to comment on my blog and in particular those who advised me on the purchase of my new sewing machine. So far I am very pleased with my Janome. The features I love the most are the automatic thread cutter and the very very quiet running of the machine. It is a real pleasure to work with the machine and I shall comment in the forthcoming months further on my growing experience. The biggest thank you however does go to the random number generator as I have won three giveaways in the past six weeks or so. How good is that!